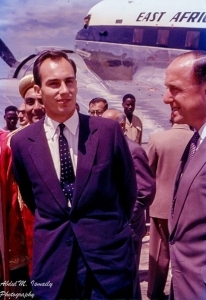 Diamond Jubilee of His Highness The Aga Khan IV | Ismaili.NET - Heritage F.I.E.L.D. Our 29th Holy Imam Kassam Shah was the 2nd Imam to celebrate Diamond Jubilee of Imamat. He was Imam for 61 years from 710 A.H. to 771 A.H.
Aga Shah Hassan Aly Shah was the 3rd Imam to celebrate Diamond Jubilee as Imam. He was Imam from 1233 A.H. to 1298 A.H. He was the first Imam to have the title of Aga Khan and was also famously know as Muhammad Hussein al-Husseini "Mahelati"
Diamond Jubilees on the throne of Imamat have been celebrated by 4 Imams to date in our history since Hazrat Ali. The 4 Imams are Imam Mustansir Billah, Imam Kassam Shah, our 46th Imam Hassan Ali Shah and our 48th Imam Sultan Muhammad Shah. Prince Amyn Aga Khan: "Chantilly is a real movie set"